Courtney was an Angular and Ionic software developer at Webjunto but her journey there was not a typical one. After changing her career to tech by becoming a Digital Service Fellow, she obtained an internship at local dev shop. 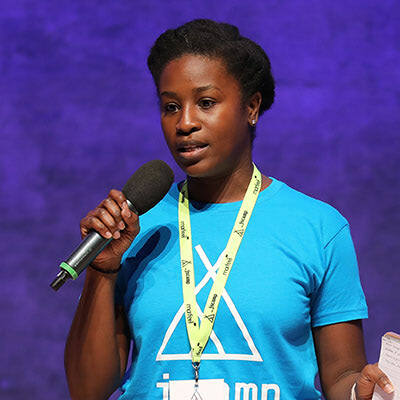 Working as an intern at Jarvus further ignited her interest in software development. While working at Apple, she set out to increase her skills and to find a dev shop that included people that looked like her. That's when she met Webjunto and has never looked back. Now she is traveling, speaking at conferences and contributing to open source projects until she settles in Europe and calls a new place home.